Full body under jersey coverage has a new standard with the Titan Sport Jacket. Its complete plastic plating of key contact areas is unmatched. The full mesh main body offers a precise, bunch-free fit. 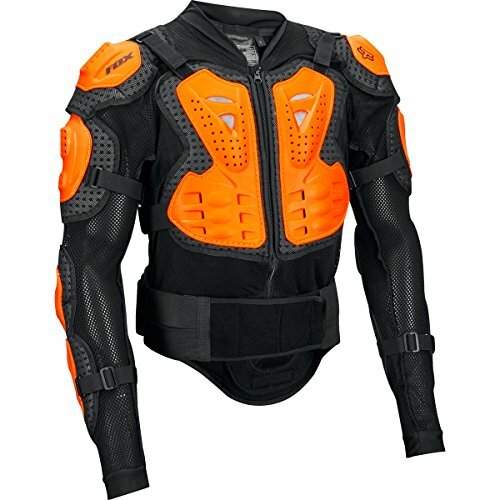 Add in the intelligently engineered ventilation zones and the Titan Sport Jacket truly becomes the ultimate battle suit.. Anatomic high impact two piece plastic chest plate.. Removable articulated plastic back coverage.. High impact plastic shoulder & elbow coverage.. Soft vented mesh main body fabric for enhanced fit, comfort & ventilation.. Center zipper for easy on & off.